Richard James Foster, a geology professor at SUNY Buffalo State for 35 years, died unexpectedly March 22 in Brooks Memorial Hospital, Dunkirk. He was 87. Born in Silver Creek, he grew up there and in Ripley. After graduating from Ripley High School in 1949, he joined the Navy and was voted a company honor man in basic training in Chicago. He went on to serve in the Korean War as an aviation electronics technician, stationed on the Korean mainland on an emergency landing strip for planes that were unable to return to aircraft carriers. He enrolled at what was then Fredonia State Teachers College, earned bachelor’s and master’s degrees in science, then went on to complete a master’s degree in geology at Case Institute of Technology in Cleveland, now Case Western Reserve University. He taught science at the former Mayville High School and at Orchard Park Junior High School before joining the faculty at Buffalo State in the early 1960s. 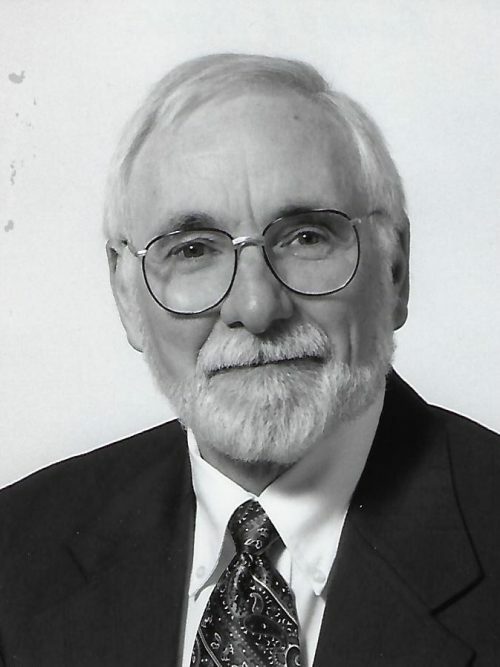 Mr. Foster served as chairman of the college’s Geosciences Department and before he retired in the mid-1990s, he was executive assistant to President F.C. Richardson for three years. He was presented with the newly inaugurated President’s Award for Academic Advisement in 1986 and led numerous local field trips, exploring moraines, kettle lakes and other features left behind by glaciers after the Ice Age. An Evans resident before moving to Fredonia five years ago, he continued to play piano for enjoyment and was a devoted fan of the St. Louis Cardinals. He also traced his family’s genealogy back to the Middle Ages. In addition to his wife, survivors include two sons, Thomas and Mark; a daughter, Wendy Pinkoske; and two sisters, Betty Lou and Sally Wood. A memorial gathering will be held from 4 to 7 p.m. Friday, April 5, in Larson-Timko Funeral Home, 20 Central Ave., Fredonia.